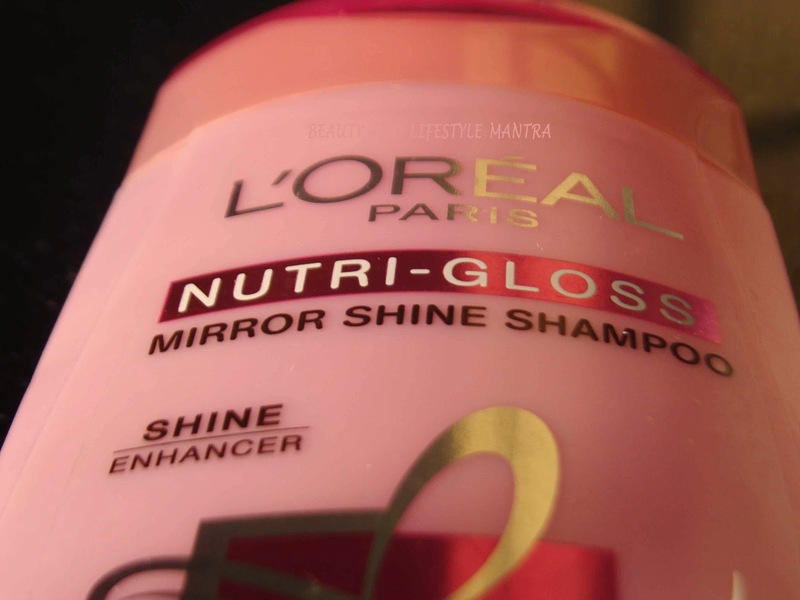 Just last week, I finished a bottle of L'oreal Nutri Gloss Mirror Shine Shampoo. 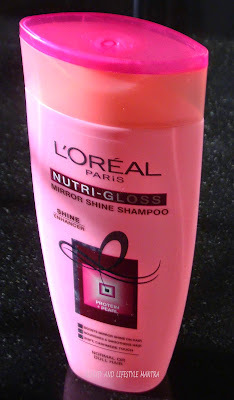 I didn’t have plan of trying this shampoo but one of my friend suggest me for this shampoo.This is my first L’Oreal shampoo. help smooth the micro splits of the hair cuticle and illuminates hair strand. This product comes in a attractive pink plastic bottle with the flip cap. 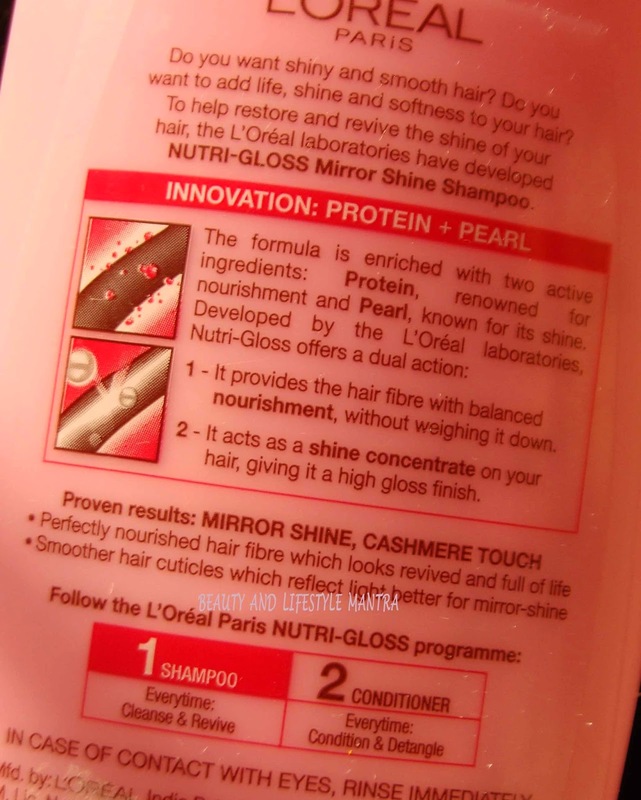 The important details printed on the bottle are highlighted in red. 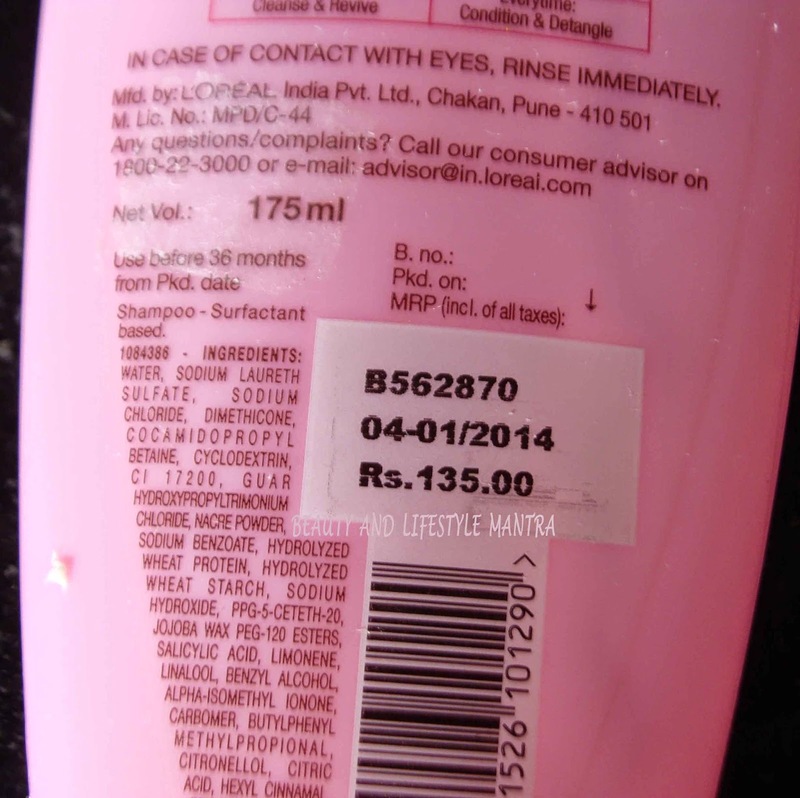 The shampoo is midway in its consistency, neither thin nor thick. The right amount of liquid easy enough for handling. The fragrance is good. The smell of the shampoo stays on for some more time even after rinsing it off. The shampoo removes extra oil of my scalp and dirt well , the hair feels smoother in texture, fresh, clean and soft too. After using this shampoo my hair looks little shiner. It lifts up my dull and fizzy hair with natural shine. I skip my conditioner whenever I use this shampoo, it conditions hair well. Overall, this is a good shampoo. 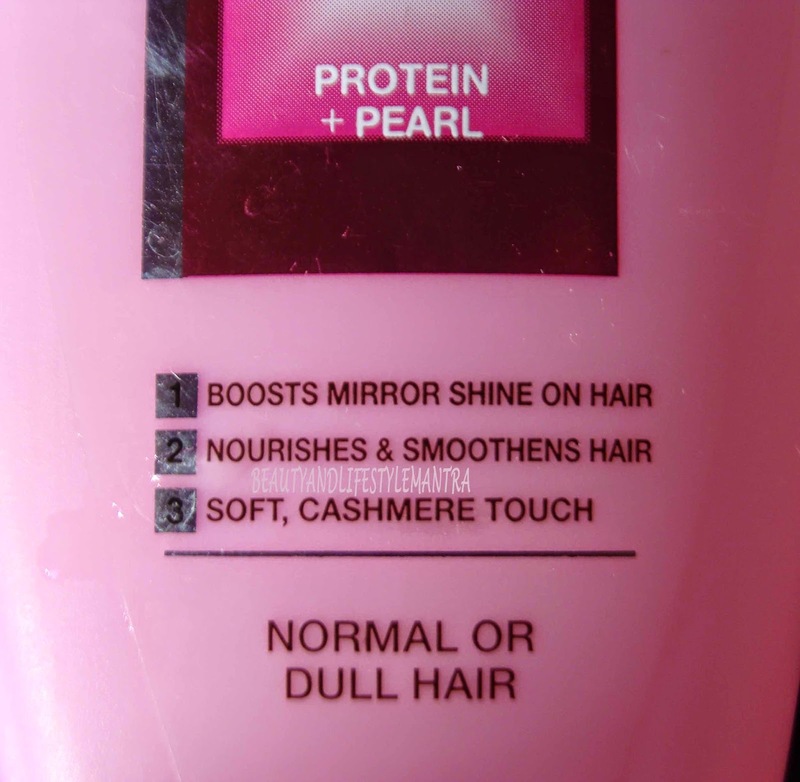 Me and My husband love this Mirror Shine Shampoo. Yes, A good shampoo to try that has no side effects. Yes, I want to repurchase this product. But before that I want to use another shampoo of L'Oreal.